Found 6 file extension associations related to GenePix Pro and 6 file formats developed specifically for use with GenePix Pro. GenePix Pro is the complete standalone image analysis software for microarrays, tissue arrays and cell arrays. 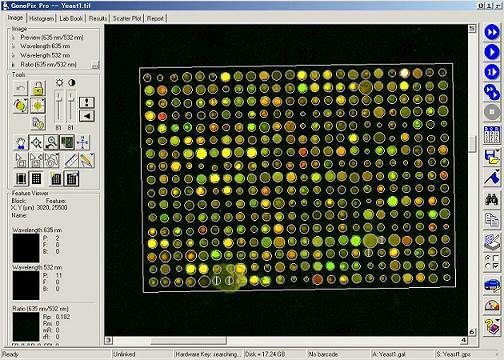 GenePix Pro is the industry standard microarray image analysis software because of its unique combination of imaging and analysis tools, visualizations, automation capabilities, performance and ease of use. If you need more information please contact the developers of GenePix Pro (Molecular Devices), or check out their product website.